The market is one of the oldest surviving structures in Ho Chi Minh (formally Saigon) and a beehive of activity, with locals and tourists, mixing to buy handicrafts, textiles, souvenirs, and local cuisine. 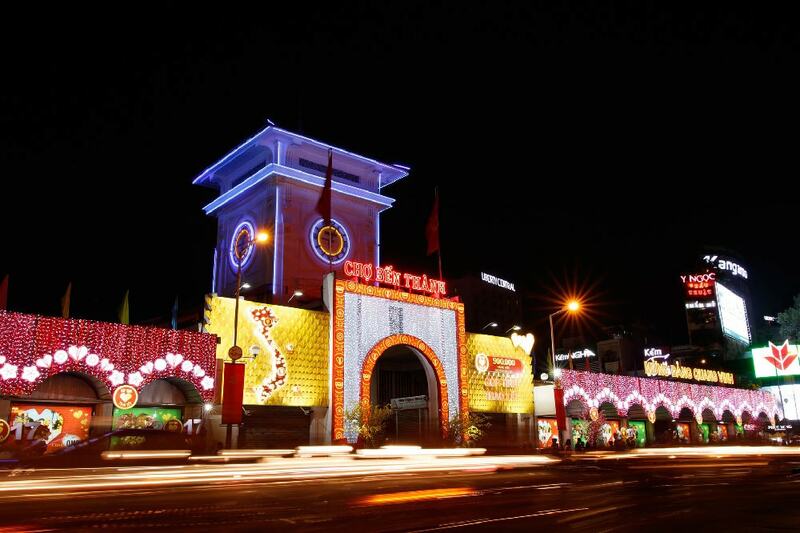 Developed from stalls set out by early 17th century street vendors, gathering near the Saigon River, the market was formally established by French Colonial powers, after taking over Saigon in 1859. Visit the market early or late afternoon when it quietens down a bit, before the evening street market sets up around 6. Expect to be constantly spoken to and even poked, but hey it’s a great experience! Hoi An is uniquely made up of a series of waterways and inlets. The Old town is a UNESCO heritage sight and it’s architecture is superbly preserved. The best way to see the city is from a boat, paddled by locals. They’re great fun and you will see prices tumble if you ask few before selecting a captain for your adventure. 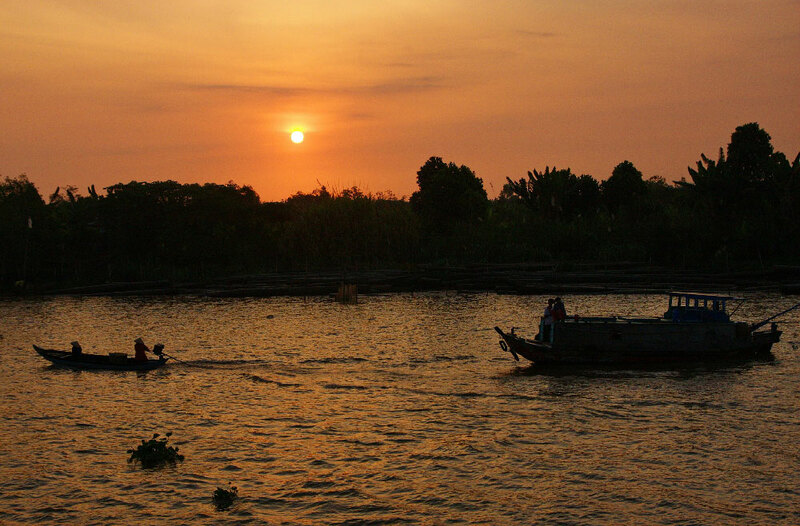 An Hoi An boat tour is an ecstatic experience that will linger in your memory for years to come. Any magazine carrying an article on Vietnam will display pictures of beautiful Mekong Delta scenery and when exploring the orchards, paddy fields and swamplands, you will think that you’ve stepped into the world of National Geographic. Over 1,000 animal species have been recorded, within this “biological treasure trove”, including some thought previously to be extinct. Make your own arrangements. Most hotels will assist you and will have a system in place. The Vietnamese have a very structured way of doing things that isn’t always obvious. Even when it seems like chaos it all works out well in the end. You’ll love it! The ‘Funky Monkey’ boat trip is not so much about seeing fish, although you will when you snorkel around extraordinary coral reefs, but more about drinking like a fish and getting fried! This day out at sea is well known throughout the region and is one of the highest ranking tours on Tripadvisor. Live entertainment is included and you’ll have a ball for under $10. Vietnamese food is fabulously nutritious and healthy. Vietnamese people look healthy, right! There are many dishes to try, with the most famous being Goi cuon, which are translucent spring rolls packed with combinations of greens, coriander, minced pork, shrimp or crab. Another must try is the country’s great staple, Pho (pronounced “fuh”). The basic Pho is a light chicken (Pho Ga) or beef (Pho Bo) broth with flat rice noodles, ginger, coriander and spring onions. 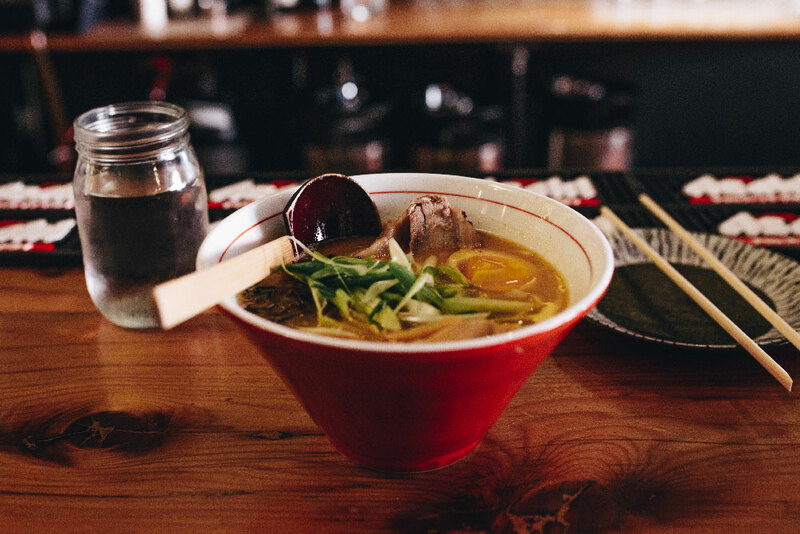 Delicious and if you like wagamama ramen, you’re gonna love Pho. You will be thrilled with the availability of made to measure clothes in the city of Hoi An. These dresses, suits and shirts are beautiful and enjoy high patronage from residents as well as tourists. A great and practical souvenir from your trip and who could resist the “I had it run up for me when I was in Hoi An” story when you get back home. Lana, at 94 Leloi Street, is a highly recommended tailor. Nha Trang’s white sandy beach is 6km long and widely regarded as the best in Vietnam. The fun loving atmosphere is a big draw for backpackers, looking for some R&R after exploring the big cities and there is an underlying hippie tradition, where everything is very laid back. As night falls and you have finished sunbathing or scuba diving, you can get some great offers on drinks, whilst experiencing bassy lounge music, mood lighting and very comfortable seating. As the evening wears on there’s a popular movement to the Sailing Club, which is a bit of a Nha Trang institution, with its huge dance floor and very long bar. The Sailing Club is popular with with backpackers and scuba divers and you will mix with bright young things from Ho Chi Minh City, consuming jars of unidentified alcohol. A feature of Vietnam’s huge cultural draw is its rich system of beliefs. Officially, Vietnam is an Atheist state, however religion has exerted a deep influence on the country’s culture and concept of life. Buddhism, Confucianism and Taoism influence the prevailing attitude towards life, death and the world beyond and are responsible for the variety of temples that can be seen and experienced. The one’s not to miss include; The One Pillar Pagoda, the Temple of Literature and the Truc lam Temple and you should dress respectfully. The Hoi An lantern festival is one of South East Asia’s most popular events and a joy to behold. For one night a month, the port town switches off its fluorescent lights and gives way to lanterns. For centuries, the Vietnamese have considered the full moon a time to pay respect to their ancestors and make merry. Releasing a lantern on the river is also said to bring good fortune, love, health and happiness and you can buy lanterns along the river from the local sellers. The Hoi An Full Moon Lantern festival takes place on the 14th day of each lunar month between the Japanese Covered Bridge and the Cau An Hoi Bridge and is a stunning, magical experience that you will never forget. When the temperature and humidity is up, nothing goes down like a cold beer and the Saigon Beer company have got this well and truly covered. Saigon Export (ABV: 4.9%) is produced by traditional fermentation methods, to give a flavour that satisfies consumers looking for “a true taste of the Orient”…and Saigon Special (ABV:4.9%) is a lager beer made from malt, hops, yeast and water, with no preservatives and almost zero calories, to give “full flavour, effervescent sunrise colour and brewery fresh clarity”. You’ll be looking for them when you get back home! With wonderous sights to behold and many experiences that will leave you feeling enchanted. Cambodia is a fusion of ancient and modern that you will not be able to leave behind. Exotic jungles, coastal deserts, the majestic Andean mountains and the glories of Machu Picchu all await you in Peru, as well as many things that you may not have imagined. People say that the first step of a journey is the hardest, but for me the first step was easy. The day I discovered I hadn’t got into the university that I wanted was the day I booked a flight ticket to Japan.